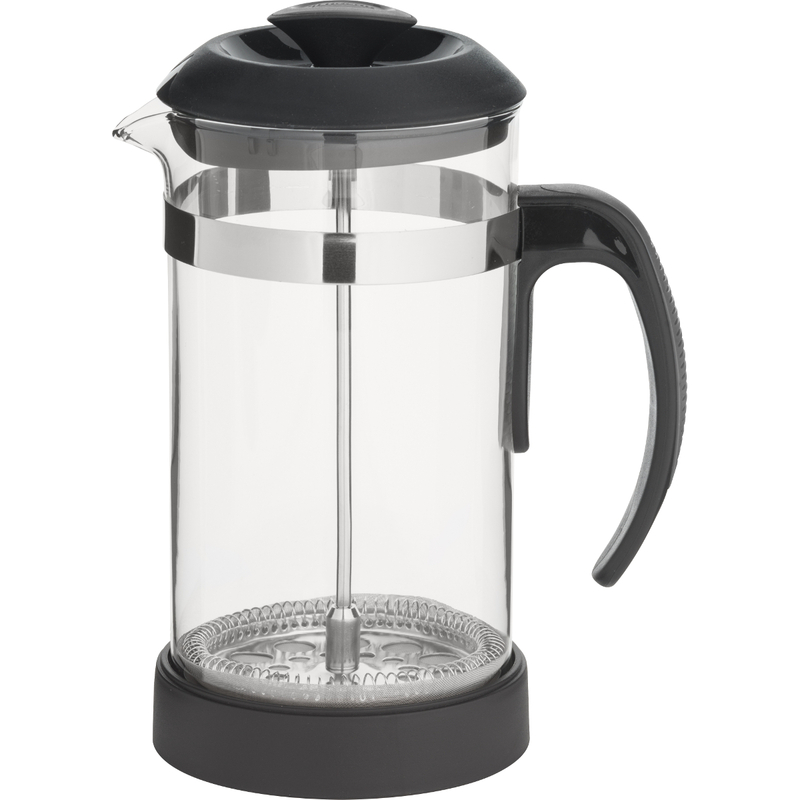 Enjoy your favorite coffee easier than ever with this coffee press from Trudeau. The lightweight borosilicate glass is perfect for serving with ease, while the comfortable handle features a heat guard for protection. This large coffee press can hold up to one liter of hot or cold coffee, so you can pour a delicious cup for all your guests. It's easy as 1-2-3: spoon ground coffee into the pot, add water, and slowly press down the stainless steel filter. This product is backed by a five year manufacturer's warranty.